2. To show interest, simply click on the 'Show interest' button. 3. 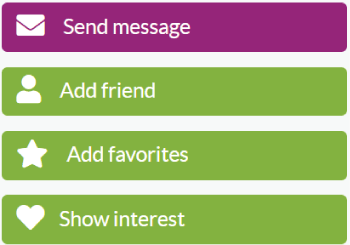 Once you showed interest in a person, the color of the button change to blue with the text 'Interest sent'. All the interest you have send and have received can be found on the Likes page.